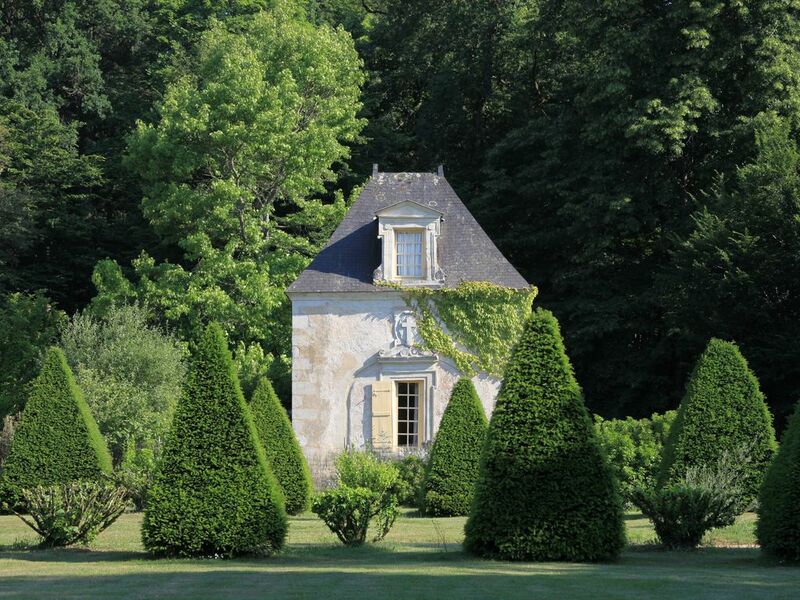 A little gem nestled in a secret garden, the Pavillon de France is located in the park of the castle and on the edge of the immense forest where walks and hikes are a real pleasure. In the living room, the stone fireplace, the honey and sand tones of the woodwork and linen fabrics, form a soft, intimate and warm harmony. The kitchenette is hidden in the woodwork. The large bathroom, all glass, gives the impression of being one with nature. The room is upstairs, with a large canopy bed with curtain air, the old parquet floors are cross St Andrew. In winter, the fire crackles in the chimney. In summer, in the private garden, sun loungers and garden furniture allow you to relax in peace and surprise the deer that pass in the undergrowth. The calm is total, the absolute change of scenery, the break with the beneficial daily life, the complete renewal. Everything is there for a reunion during a romantic weekend or for an unusual stay. This magical place is always privileged in nuptial suite. For an evening or for a long time it will certainly be an unusual weekend, you will be absolutely conquered. Bathroom all glass and overlooking the nature.